Col. Jessup: YOU CAN’T HANDLE THE TRUTH!! ESG (environmental, social, and governance) investing has been a hot topic lately. Asset growth has reflected this, picking up over the last couple of years. But growth has generally been on the institutional side (pensions and endowments), while retail clients and advisors have been slower to adopt. This seems strange given that younger generations are starting to save more for retirement and also have more interest in social issues than past generations. The disconnect may simply be a lack of education on the world of ESG investing. As an introduction, below I bust the three common myths of ESG investing and offer three important truths that should make ESG top of mind when considering investor solutions. Myth No. 1: ESG limits diversification benefits. ESG investors favor companies that exhibit positive attitudes and behavior toward the environment, social change, and corporate governance. By contrast, investing based on broad market-cap indices means favoring the most highly valued companies. So, without knowing anything else about ESG, investors already know they are getting something better valued than a broad index. Add in the higher-quality nature of ESG companies, and ESG looks even better. Diversification should be achieved by investing in various uncorrelated asset classes in a portfolio, not by benchmark hugging. Myth No. 2: ESG does not drive change in companies. As institutions and retail investors invest more in ESG products, it will be harder for companies to ignore the fact that higher-ranked ESG companies are becoming more in demand. I don’t think this view is limited to investing. Younger people also prefer to work for companies that are doing good for the world. Companies will have to boost their ESG efforts if they want to attract more investor demand and recruit the best talent. Myth No 3: ESG has a lack of client demand. One of the main reasons for the current lack of demand in ESG investing is that there is not enough education on the topic. Clients may not know exactly what they want, or need, before discussing it with a financial professional. An upfront discussion about ESG investing may drive demand for it. Truth No. 1: ESG can generate strong returns. The old myth is that ESG funds have higher costs and lower returns. This may have been the case with exclusionary-style funds that simply avoided “sin” stocks. But this is not necessarily the case with the inclusionary process of ESG, which focuses on investing in companies with favorable attributes. As many recent studies have shown, ESG can be a factor within companies that helps generate strong returns. The factor is a function of quality within companies, and higher-quality companies tend to perform better over time as they are better able to weather market downturns (and avoid costly lawsuits). So, now you can have your cake and eat it too by investing in companies that help make the world a better place while benefitting from opportunities for outperformance. Truth No. 2: ESG doesn’t have to be costly. There is financial evolution happening all around us. Round one was the introduction of ETFs, a low-cost, best-of-both-worlds combination of stocks and mutual funds. Round two was the introduction of smart beta investing, a low-cost, passive way to mimic active management. Round three is overlaying ESG concepts on a smart beta approach in an ETF wrapper at a fraction of the cost of mutual funds – a combination made in heaven. This evolution has made it easier for advisors to allocate clients to ESG in a fiduciary role. Truth No. 3: ESG is for long-term investors. 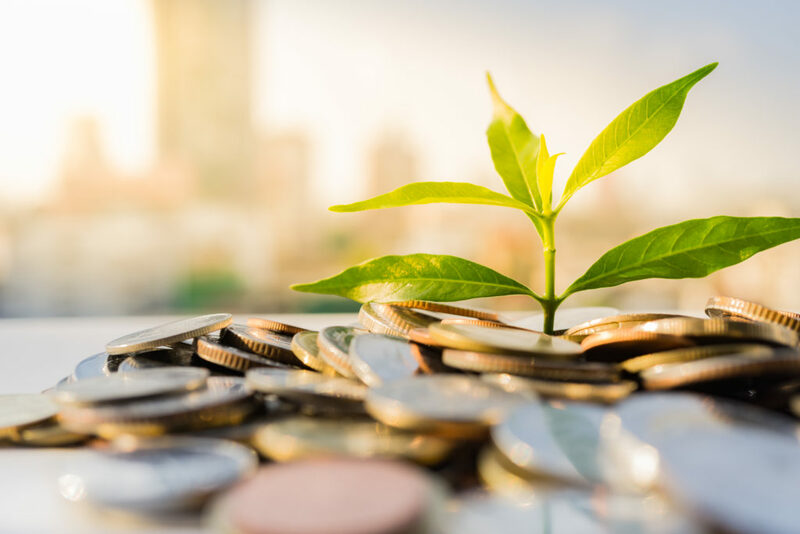 While there are niche or thematic investments in the ESG space, which can be invested in opportunistically, the idea behind ESG as a whole is not a get-rich-quick scheme. Like other investment factors, ESG works best over the long term as it takes advantage of full market cycles. These cycles last many years. Investors in ESG need to know that it is not a tactical timing mechanism, but a long-term investment strategy in which it pays to stay globally diversified, balanced, and consistently invested.